Motorola has long dominated the U.S. budget smartphone market. For years, virtually every publication has recommended the Moto E series to those on a tight budget. It’s easy to see why. Last year’s Moto E4 offered a passable experience for just $70. Now, Motorola is back with the E5 series, so settle in for our Moto E5 Play and Moto E5 Plus review. You’re probably wondering whether these new devices are worth your attention. Has Motorola significantly improved the E line? Has the budget smartphone landscape changed to make the E series less competitive? Sure, these phones are affordable, but are they worth it? About this review: Motorola’s PR department loaned us an unlocked Moto E5 Play and a Sprint-variant Moto E5 Plus review unit. I used the E5 Play with a personal AT&T SIM card and the E5 Plus with a provided Sprint SIM card. At the time of writing, our units were both running Android 8.0 Oreo with the April 1 security patch. We’ll add review scoring once we’ve run the phones through our suite of custom tests. The Moto E5 Play and E5 Plus feature somewhat different designs, so I’ll cover each separately and then offer some combined thoughts. Let’s start with the less expensive model, the Moto E5 Play. If you’ve seen the Moto E4, you won’t be surprised by the E5 Play’s design — it’s very much iterative. The only notable change is the fingerprint reader’s move to the back of the phone, now integrated with that familiar Moto dimple. I really appreciate this change as it makes the E5 Play seem more like a single piece of hardware, though it only seems like it. The plastic rear cover is actually completely detachable from the phone. For the time travelers reading this article or those just unaware, this is basically unheard of in 2018. When everything is always on, always listening, and always watching, it's refreshing to have the slightest bit of physical control. You can not only replace the SIM and microSD cards but also remove the battery. There are two clear advantages of this design. Firstly, you can easily swap the battery if the current one runs out of juice. It’s also a win for those of us slightly paranoid about our privacy. When everything is always on, always listening, and always watching, it’s refreshing to be able to just take out the battery. The rest of the design is pretty standard. The texturized plastic back provides a good grip, but it’s hardly premium. The E5 Plus’ design is similar to the E5 Play’s design — in the same way you’re similar to your second cousin. The phones are pretty different but share some higher-level resemblance. The Moto E5 Plus review unit we got looks a heck of a lot like the Moto G6. The back is made of glossy plastic, meeting up with a disappointingly cheap-feeling sideband. The E5 Plus is not designed to be taken apart like the E5 Play. Instead, the SIM and microSD cards are swappable via a tray on the top left side of the phone. Weirdly, my unit’s tray doesn’t fully close, making it not quite flush with the side. It’s a small detail and may only affect my unit, but it doesn’t look good. With that said, I generally like the design of the E5 Plus. The plastic refracts light in a manner similar to Honor’s flagships. It’s a shame it collects fingerprints so easily, though. Both phones are a bit heftier than I expected — the E5 Play is 150 grams and the Plus is 200 grams. I personally didn’t mind this, but some people won’t like it. For what it’s worth, most of the added weight is due to the larger batteries. Motorola claims both devices feature a water-repellent coating. Without any official certification, however, I would be careful about exposing them to water. Still, the added coating certainly doesn’t hurt. The fingerprint readers are uniquely less obtrusive thanks to the Moto Dimple. I should note that I was quite happy with the fingerprint readers on both devices during the Moto E5 Play and Moto E5 Plus review period. They’re less obtrusive thanks to the Moto Dimple and they correctly read fingerprints at a good rate and speed — something most budget smartphones don’t do. Unfortunately, the Moto E5 Play and E5 Plus both feature micro-USB charging ports, instead of the now three-year-old USB Type-C. I could’ve seen this as logical even a year ago, because of the target audience, but it’s 2018, people. It’s no fun having to go backward and replace cables around the home, in your bag, and in your car. As someone who has completely transitioned to USB-C, my reaction when unboxing these devices was remarkably similar to Michael Scott’s reaction to Toby’s return in The Office. The E5 Plus features a large 6-inch display, while the E5 Play has a 5.2-inch display. The display on the E5 Plus adopts the newer 18:9 aspect ratio. The E5 Play sticks with the old 16:9 format. The new aspect ratio may not have trickled down to all budget phones just yet, but it already has a strong foothold in the mid-range segment. Both devices feature 720p panels. This is acceptable on the smaller E5 Play unit, but I’m not convinced it was wise for the E5 Plus. Since the display on the E5 Plus is significantly larger, the image on the cheaper E5 Play is actually sharper. Neither are especially sharp, but you get what you pay for. The E5 Play's display is not good. To be frank, the E5 Play’s display is not good. Colors are washed out, viewing angles are poor, and it’s nowhere near bright enough for outdoor use. The glass also feels like plastic, collects fingerprints easily, and lacks a good anti-reflective coating. Although the E5 Play’s display isn’t a great baseline, the display on the E5 Plus is noticeably better. Colors feel less dead, it gets a bit brighter, and the glass performs as expected. The display is still mediocre and I would’ve liked to see a sharper 1080p panel, but I suppose this is where we once again have to take pricing into account and recalibrate our expectations. My Moto E5 Plus review unit also offers slightly better performance than the E5 Play, running a Qualcomm Snapdragon 435 vs. a Snapdragon 427 or 425 in the Play. Whether you get a 425 or 427 with the E5 Play depends which one your carrier decides to offer. Most of them aren’t disclosing their choice, but really the only major difference is that the 427 offers faster LTE speeds. The E5 Plus uses a respectable Adreno 505 GPU, but the E5 Play is stuck with an Adreno 308. Casual gamers on a tight budget should get the E5 Plus if they can, or just opt for a different phone entirely. The E5 Plus is a better choice for gaming, but neither are very good. The E5 Play only has 2GB of RAM, which makes for a less than ideal multi-tasking experience. The E5 Plus’ 3GB of memory is obviously better. Just don’t expect to do much — if any — multitasking, regardless of Motorola’s marketing. If you're coming from a flagship experience, expect to feel like you've been thrown back a few years. Your perception of real-world performance will depend on what class of device you’re currently using. If you’re coming from a flagship experience, expect to feel thrown back a few years. If you’re coming from another cheap phone, the E5 range will likely seem fine. Just know there is a significant compromise here with the lower pricing. The North American models of the Moto E5 Play and E5 Plus are both single-SIM. Both offer an impressively long list of supported frequencies, meaning they will work with more carriers than their competitors. Even after assessing everything about these phones, I’m still surprised by this level of network support. It’s difficult to deliver smartphones with wide carrier support because each added frequency means additional engineering and testing costs. Kudos to Motorola for pulling this off on such affordable phones. Both models also support 5GHz Wi-Fi, which is essential for those like myself in areas with overcrowded 2.4GHz airwaves. It only goes up to 802.11n though (not 802.11ac), so your speeds could still be bottlenecked by the phone’s hardware. For example, my personal home internet download speed is 180Mbps. Both models showed speeds of around 25Mbps connected to my 2.4GHz network during lower-than-normal congestion. Once I switched to my 5GHz network, speeds jumped up to between 40 and 45Mbps. That’s better, but still less than a quarter of what I can access on other devices. The E5 Play offers 16GB and the E5 Plus offers 32GB of storage. Those are pretty generous numbers given the pricing. This is especially true when you consider the microSD card expansion options, up to 128GB. It’s always nice to have that option if you start running low on storage. As expected, there’s no NFC support with either of these devices. That means no convenient pairing with Bluetooth peripherals, no contactless payments via Google Pay, and no easy initiation of file transfers between devices. A lot of users will appreciate Motorola's decision to keep the 3.5mm headphone jack. The phone keeps another legacy port users will probably appreciate: a 3.5mm headphone jack. Audio output is only of acceptable quality though. Unfortunately, there isn’t any support for higher-end audio codecs. My pair of Bluetooth headphones didn’t sound as good when connected to either model as they did when connected to higher-end phones, despite the presence of Android Oreo. If you’re not the kind of person who uses headphones, at least you’ll be left with earpiece audio on both devices, which also serves as a front-facing speaker. Both models perform well in this area given the pricing, mostly just because the audio faces the user — as it should. It's easy to get a day to a day and a half of use out of these phones. Like most smartphones in this category, both the Moto E5 Play and E5 Plus offer excellent battery life. You can get considerably more usage out of the E5 Plus thanks to its large 5,000mAh battery. Either way, it’s easy to get a day or more out of these phones. While the E5 Play’s 2,800mAh battery is of a lower capacity, you can swap it out if needed. If you plan on camping or something, you could just take an extra battery or two and not have to worry about your phone dying. That way you can focus on preventing nature from killing you instead. Both phones support “fast charging,” though only the E5 Plus qualifies for Motorola’s TurboPower Charging speeds, which is essentially a rebranded Qualcomm Quick Charge 3.0. Thankfully, Motorola includes a TurboPower charger in the box. With this, you can start taking advantage of fast charging from day one (or two). It has long been the case that if you wanted a good smartphone camera, you must spend more money. Developing good cameras is complicated and expensive. I didn’t have very high expectations for either phone’s camera performance. It should first be noted that these phones have different cameras. The E5 Play sports an 8MP camera, while the E5 Plus has a 12MP camera, both featuring an f/2.0 aperture. In practice, I found the E5 Plus outperformed the E5 Play even more than I expected. The difference is apparent even if we focus only on daytime camera samples. Both cameras really struggle with dynamic range, accurate color reproduction, and software over-sharpening. These issues are much more visible in my E5 Play camera samples, shown below. While the E5 Plus’ camera isn’t amazing, it produces better daytime photos, shown below. What’s interesting about both the Moto E5 Play and E5 Plus is that they feature front-facing cameras with a flash. So you could theoretically take better selfies in dark conditions thanks to the added light source. The front-facing cameras are 5 and 8MP, respectively. Both are about average for this price point. Motorola’s cameras seemed to perform a little bit above average up until I tried taking photos in low-light conditions (E5 Play above, E5 Plus below). The issues present in daytime photos become more pronounced. As the sensor captured even less light, images came out blurry and noisy. The camera’s software seems to do a good job at detecting low-light conditions, but the end result is still abysmal. The camera on the E5 Plus performs better in low-light conditions than the E5 Play’s camera, but it’s still pretty bad. My camera samples were taken about twenty minutes after sunset in mostly well-lit areas, yet the camera still struggled. I wouldn't want to rely on either phone's camera to capture important moments. All things considered, I strongly discourage trying to use either of these phones as your primary camera. These phones may work in emergencies or for simpler Instagram photos, but I wouldn’t rely on either to capture important moments. The Moto E5 Play and Moto E5 Plus ship with Android 8.0 Oreo. Given Motorola’s historical update record, it’s very unlikely these devices will ever be updated to a future version of Android, like Android P. It’s sad, but very typical at this price. Motorola phones have had a software experience very similar to stock Android for years, and these phones are no different. The overall user interface is pretty much the same. The big changes come in the form of a few added features. Moto Actions are probably the most recognizable. There’s a number of added gestures like three finger screenshot and chop twice for flashlight. There’s also the ability to turn on a blue light filter or enable Moto Display, which is similar to an always-on display, except it’s not always on. The display illuminates with the time and new notifications whenever motion is detected or notifications come in. I am sure these added features will be welcome additions for most people. The one major complaint I have about the software is that the multi-tasking view is minimized so an unnecessarily large area can be dedicated to instructions on how to use the split-screen mode. I was expecting this to go away once I used split-screen for the first time, but it’s still there even after multiple uses. Motorola has delivered a strong software experience overall. This added text and surrounding area is unfortunate because it means less room for the app preview cards. I personally don’t understand the reasoning behind this. Despite that, I feel Motorola delivered a strong software experience overall. One last warning regarding the software: expect bloatware if you’re buying from a U.S. carrier. Our Sprint-variant Moto E5 Plus shipped with a whopping 27 extra bloatware apps. I’ll call this “Sprintware,” as Sprint appears to be the only carrier to install so many unnecessary apps. Not only is Sprint profiting off agreements to install all of these different apps (most of which can’t be uninstalled), but it’s also charging the most for these phones out of all of the other carriers. Talk about a bad deal. The pricing and availability of these phones is remarkably complicated. Unlike last year’s Moto E4, neither phone is available unlocked in the United States. Instead, you can find the Motorola Moto E5 Play at seven different carriers and the Motorola Moto E5 Plus at four different carriers. If you’re on Cricket Wireless, the E5 Play is named the E5 Cruise and the E5 Plus is named the E5 Supra. I have no idea why Cricket rebranded them. The E5 Play is available in dark lake, flash gray, and black. The E5 Plus is available in flash gray, mineral blue, and black. The color availability is completely dependent on the carrier though, and most carriers offer only one color. Hopefully it’s one you like. If this is already getting confusing, wait until you see how each carrier sets its own pricing. The Moto E5 Play can cost as little as $40 on Cricket Wireless to $70 on Verizon Wireless Prepaid to an insane $192 on Sprint. The Moto E5 Plus is only sometimes more expensive; it costs $150 on Boost Mobile, $225 on T-Mobile, and a once again insane $288 on Sprint. In Europe, the E5 Plus is priced at 170 euros (~$199), significantly less than Sprint and T-Mobile. I couldn’t find any international pricing on the E5 Play, but the variation from $40 to $192 should be enough to raise some alarm bells on carrier pricing practices. To add to the confusion, our European friends can also buy the regular “Moto E5” model, which won’t even launch in the U.S. This launch strategy undoubtedly will push the phone in front of more everyday consumers. However, the confusion surrounding pricing and availability of both of these phones is unprecedented. The lack of control Motorola has over its own launch is staggering. The U.S. gets different models than Europe, Cricket gets to change the names, Sprint gets to install over two dozen bloatware apps, and each carrier sets their own pricing. There’s also no unlocked model available. This is not something I expected from a large company with nearly five decades of experience. I wish I could give a simple conclusion on whether you should buy these phones or not. However, as you probably guessed, the potential for people to pay anywhere from $40 to $288 for these phones complicates things. This is the first phone launch I’ve seen where one carrier can charge more than four times as much than another. If we only consider these budget smartphones for what they are, the many positive attributes become clear. Both phones offer excellent battery life, great software experiences, and impressive network support. There are a bunch of compromises too, but you can’t expect a high-end experience at a low-end price. The main issues I see are the low-resolution displays, average camera quality, and the huge differences in what you might pay. In everyday use, however, I am sure both will be generally pleasant. However, I don’t see why both the E5 Play and E5 Plus exist. The Moto E5 Play is basically just a Moto E4 with updated software. Only the E5 Plus feels like a new phone. Those targeting the $100-ish market will receive a poor return on investment for the marginal improvements the E5 Play offers. In a bizarre twist, it feels like the E5 Play and E5 Plus are competing with each other. The budget smartphone market needs a new $70-80 smartphone that ideally pulls from both the E5 Play and E5 Plus, not two separate and erratically priced phones. If your heart is set on using a Motorola device, I can see the E5 Play being a good deal at no more than $60 or $70. If your carrier is asking more than that, chances are you can get a much better deal on last year’s Moto E4 instead. I think even the E5 Plus’ cheapest price of $150 makes it difficult to recommend. If you can spend $150, you can probably save up a little bit more and spend $200 for a better budget phone like the Moto G6 Play, Honor 7X, or Nokia 6. Personally, I would buy a year-old higher-end device or a two year-old used or refurbished phone. You can easily find something like the LG G6, which was a flagship phone in 2017, for less than $200. If that doesn’t sound appealing to you and you’d rather have something new, try to hold out to see what happens with the E5 Play and E5 Plus — especially if your carrier is Sprint. I cannot imagine its inflated pricing will last for very long. 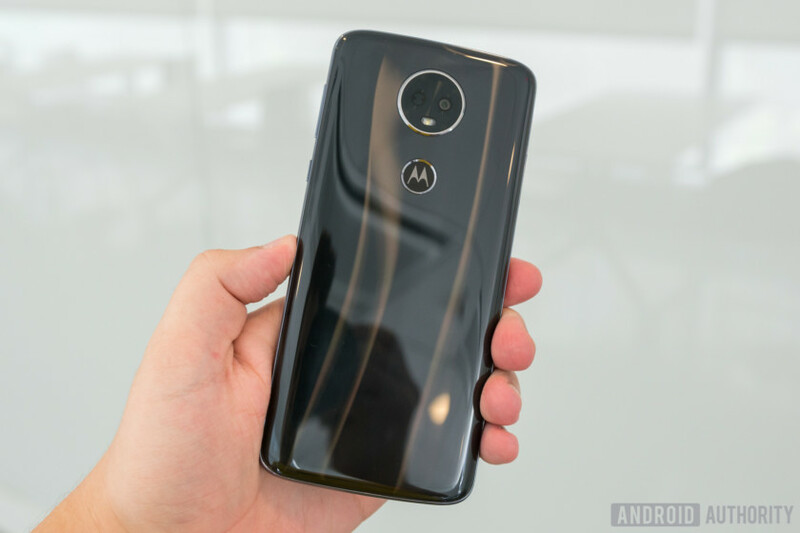 Moto Z3 review: Is the promise of 5G enough?